We’d love your help. Let us know what’s wrong with this preview of The Best Short Stories of O. Henry by O. Henry. To ask other readers questions about The Best Short Stories of O. Henry, please sign up. in the short story The Gift of the magi what is the setting of the story? "Of course there are two sides to the question. Let us look at the other." The writers of short stories, the bar has been set. And it's really high. I've known it since I was about eight or nine, when my mother (bless the heart of the amazing literature teacher I have the privilege to be descended from!) slipped me a nondescript brown-cover book opened to the page with the title 'The Gift of the Magi'. I read the story, and then the rest of a hundred or so in that little brown book, and the impossible standard for all the writers of short fiction has been firmly set in my stubborn over-cluttered brain. This bar was really set over a hundred years ago by a certain O.Henry, a prolific New York magazine writer (and, of course, former rancher, bank teller, fugitive and convicted criminal, and a man whose last words, the legend has it, were, "Pull up the shades so I can see New York. I don't want to go home in the dark") who was easily cranking out a story or two a week - and yet somehow despite the rush and demand and the copious amounts of alcohol was able to create sketches and snippets of the life of everyday people that carried that *something* for which a regular typewriter/keyboard word-churner would probably have given a limb or two without the slightest hesitation. It's been over a hundred years since these stories were published, and the population of New York has doubled since the days of The Four Million, and yet O.Henry's writing has not aged, has not become obscure or irrelevant or any other of the disparaging adjectives one can apply to fiction. The are many reasons why these stories remained timelessly readable and relevant. For instance, the conversational, gently playful but yet kind tone that somehow manages to teeter just on the verge of irony. The humor that shines in every page, in every sentence. The we-came-to-expect-it twist at the end of every story - still taking the reader by surprise, even when we think we got this O.Henry twist thingy down. The humorous and meandering introductions to the stories that may or may not have direct relationship to the actual storyline, but nevertheless are essential to it. The amazing amount of subtle and gentle and yet very apt characterization that manages to happen in the stories that are just a few pages long. But I think the main reason for the timelessness is that people essentially have not changed over the century. "Of course there are two sides to the question. Let us look at the other. We often hear "shop-girls" spoken of. No such persons exist. There are girls who work in shops. They make their living that way. But why turn their occupation into an adjective? Let us be fair. We do not refer to the girls who live on Fifth Avenue as "marriage-girls." O.Henry wrote about people; the everyday 'little people', mostly those of New York (even though there will be a fair few set in the West and the South of the US, and an entire collection in a 'banana republic' of South America). Those who were usually beneath the notice of the 'great and powerful' of this world. According to the 'connoisseur' of the 'cream of society' of that time Ward McAllister, there were only about four hundred people in New York who mattered (the list lives on, despite its idiocy - think of Forbes 400, for example). According to O.Henry, there were a few more - four million, to be exact, the entire population of the metropolis at the time. "Not very long ago some one invented the assertion that there were only "Four Hundred" people in New York City who were really worth noticing. But a wiser man has arisen--the census taker--and his larger estimate of human interest has been preferred in marking out the field of these little stories of the "Four Million." The stories focus on the moments in life of the 'four million', always keeping their unique individuality in focus and not the study of them as a group. We see the shop girls, and struggling clerks, cabbies, small-time crooks, residents of furnished rooms or cheap furnished apartments, artists, secretaries, and even a likely few of the 'four hundred' in their run-ins with the remaining 3,999,600, those who "came to the big city to find work because there was not enough to eat at their homes to go around." "Dulcie lived in a furnished room. There is this difference between a furnished room and a boarding-house. In a furnished room, other people do not know it when you go hungry." "One dollar and eighty-seven cents. That was all. And sixty cents of it was in pennies. 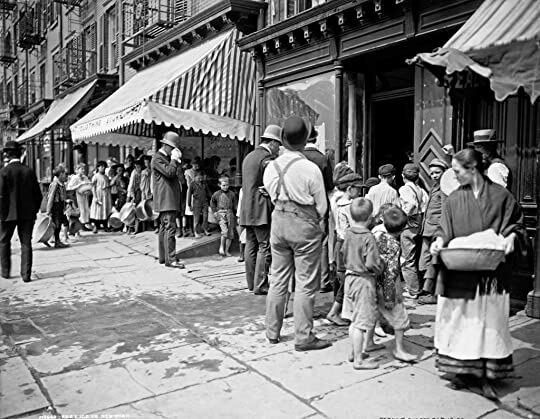 Pennies saved one and two at a time by bulldozing the grocer and the vegetable man and the butcher until one's cheeks burned with the silent imputation of parsimony that such close dealing implied. Three times Della counted it. One dollar and eighty-seven cents. And the next day would be Christmas. Tomorrow would be Christmas Day, and she had only $1.87 with which to buy Jim a present. She had been saving every penny she could for months, with this result. Twenty dollars a week doesn't go far. Expenses had been greater than she had calculated. They always are. Only $1.87 to buy a present for Jim. Her Jim." Our world is a constant contrast of haves and have nots, and have nots have to try very hard just to stay afloat, just to get something out of life that is not very gentle to them. The differences between the wealthy and the poor are highlighted - but the decision of what to do with the highlights is left up to you. O.Henry does not preach; he just provides a gentle voice to those who usually don't get it. "During her first year in the store, Dulcie was paid five dollars per week. It would be instructive to know how she lived on that amount. Don't care? Very well; probably you are interested in larger amounts. Six dollars is a larger amount. I will tell you how she lived on six dollars per week. I give it up. I hear of wonderful bargains in fabrics, and of miracles performed with needle and thread; but I am in doubt. I hold my pen poised in vain when I would add to Dulcie's life some of those joys that belong to woman by virtue of all the unwritten, sacred, natural, inactive ordinances of the equity of heaven. Twice she had been to Coney Island and had ridden the hobby-horses. 'Tis a weary thing to count your pleasures by summers instead of by hours." And yet the stories are not written to be the social critique, to pursue an agenda, to stir up anger. They seem to be written just to give the voice to the 3,999,600 that otherwise just quietly go about their lives in the streets of a big city or the fields of the West, keeping their dignity, and finding little pleasures in life, and asking for no condescending pity, and just being people. "As I said before, I dreamed that I was standing near a crowd of prosperous-looking angels, and a policeman took me by the wing and asked if I belonged with them. Accused of embezzling money from a Texas bank, O Henry (1862-1910) bolted to SoAmerica in the late 1900s and only returned when his wife was dying of TB. There seems to be a murkiness about what actually happened, but I'm not keen enough to read a bio. OH's wife expired and he spent 3 years in prison. A gifted writer and a likeable chap, he had a venturesome life. The big question for me, still lacking an ending - twist or not - is, why did he bolt? Well, so much for that. Like most GRs, I read O Accused of embezzling money from a Texas bank, O Henry (1862-1910) bolted to SoAmerica in the late 1900s and only returned when his wife was dying of TB. There seems to be a murkiness about what actually happened, but I'm not keen enough to read a bio. OH's wife expired and he spent 3 years in prison. A gifted writer and a likeable chap, he had a venturesome life. The big question for me, still lacking an ending - twist or not - is, why did he bolt? Well, so much for that. Like most GRs, I read OH in middle school and forgot about him until soppy reviews on GR tweaked me with a sense of nostalgia, and---. Everyone here cites 3 stories : The Gift of the Magi, The Last Leaf, and The Ransom of Red Chief. Didn't they read anything else? OH is very, very sentimental and heartwarming; his stories, w elements borrowed by Hollywood for decades, are aimed at pre-teens, Scout's honor. Unselfishness, sacrifice, kindness are qualities throughout his homespun fables....qualities that children should be taught. Example: A young woman, dying of pneumonia in "The Last Leaf" is certain she will die when the last leaf falls from a tree outside her wintry window. The leaf doesnt fall and she regains her health. Then we find out : an elderly neighbor painted the leaf, though he caught a cold for his good deed and quickly withered away....(OH can't resist the cheap ending). Prior to reading this collection, my only association with O. Henry was the famous 'Gift of the Magi' which has spawned innumerable replications, homages, references, and allusions. I was moved to explore the rest of his writing at the recommendation of a short story how-to book. It claimed O. Henry was an acknowledged master of the short story, creating interesting characters with a compelling hook, and then his trademark twist at the end. Yes, there's a twist at the end of every story. Every sh Prior to reading this collection, my only association with O. Henry was the famous 'Gift of the Magi' which has spawned innumerable replications, homages, references, and allusions. I was moved to explore the rest of his writing at the recommendation of a short story how-to book. It claimed O. Henry was an acknowledged master of the short story, creating interesting characters with a compelling hook, and then his trademark twist at the end. Yes, there's a twist at the end of every story. Every short story ends with a wry little twist. Every single one, a little "gotcha," like the more upbeat episodes of The Twilight Zone. And you thought O. Henry was just a witty name for a mediocre candy bar..."O" no!! This guy's another master of the English language, and I'm a sucker for a good short story. "Gift of the Magi" and "The Last Leaf" are unmatched. Its just a shame they couldn't have named a tasty Ben & Jerry's ice cream flavor after him instead. It is with the greatest pleasure I bring to your attention one of the most excellent writer of the nineteen and twentieth centuries, O. Henry. In his time, O. Henry wrote over six hundred short stories that continue to delight readers to this day. His work is entirely memorable, once you have read “The Ransom of Red Chief” or “Two Thanksgiving Day Gentlemen”, you will never forget them. The writing is generally humorous, with a profound awareness of social ills. Some may find the stories pointless; I think this is to be expected. He writes about ‘real life’, but in such a way as to make it fascinating. O. Henry creates awareness about our culture even while making fun of it. How can that be, you might ask, when O. Henry was writing to a completely different generation of people? Well, that is just part of the fun! We might not live in an era of shop-girls and cabbie horses, but human nature is still the same and that is exactly what O. Henry writes about. He encourages one to come in, sit down, and simply enjoy. Read with tongue in cheek, a dose of humor, and willingness for awareness, you are sure to enjoy! One of my favorite stories is “The Cop and the Anthem.” “Soapy”, as the main character is known, is an all-around loafer who’s goal is to get sent to prison for the winter months. They provide warmth, food, and in his mind, the perfect winter retreat. Unfortunately, he can’t seem to get arrested! No matter what he does, it doesn’t work. He breaks a window, eats without paying, even attempts to abduct a woman, but nothing works! Finally, as he walks past a church, he experiences a “sudden and wonderful change in his soul.” He decides to completely turn his life around, get a job, and become a productive man of society. At that moment a police officer wanders over and arrests him for loafing. He is sentenced to jail for the winter months! Not all of his works are humorous, such as “The Unfinished Story” or the ever depressing, “Gift of the Magi.” This does not mean they are bad. They tend to express more awareness of human life and rely more on the bitter-sweet then funny. To say that one is better than the other is beyond me, all of O. Henry is excellent. I hope you will read and enjoy as much as I.
I discovered this book one day long ago on my parents bookshelf. It's kind of a smaller book and had been stuck between a huge atlas of the universe and the wall. Once I liberated it I decided to take my dad's advice (If you're bored go read O. Henry) and now I have my own copy sitting on my bookshelf gathering dust and waiting to be discovered by someone new. Едно малко бижу, което се чете на един дъх. Много приятни, леко тъжни, но много обнадеждаващи разкази. Три къси истории, които много ми напомнят "Щастливият принц" на Оскар Уайлд. Същата тъга, но и благородна любов, човешка топлина има в тях. Чете се бързо и леко, а има над какво да се помисли по тях. Първият разказ "Хиляда долара" ми е любим. O.Henry hikayelerinde genelde mizahi bir dil kullanıyor. İroni hakim tüm anlattıklarında. Yüreğindeki tüm trajedileri, şaşırtıcı sonlarıyla hikayeleştirmiş. Benim, O.Henry deyince hep aklıma, en sevdiğim hikaye olan , Son Yaprak hikayesi geliyor. I re-read some of these old favorites last year, and I have to agree with Helen that O. Henry is the master of the short story. The twists at the end of the tale are always breath taking. O Henry is the king of English short story genre. While his works tend to be formulaic, that is one damn golden formula. 'The Gift of Magi' and 'The Last Leaf' are arguably among the best short stories ever written in any language. And O Henry surprisingly manages to keep up a decent threshold of quality across his large collection of short stories. I still consider going back and reading a random picking out of them a very enjoyable pastime. Нужни са 60 страници и 20 минути, за да усетиш истинската магия на Коледа. O’Henry’s short stories had become classic examples of American modernist literature. The book, The Best Short Stories of O’Henry, showcased 38 short stories by O’Henry. Every story there appeared didactic and good-humored, and the household morals came from often witty culminations. Classic settings from New York to Texas provided a mural of America. Themes such as love and greed pervaded the potpourri of American characters, yet each short story resulted in a fresh ramification based on the de O’Henry’s short stories had become classic examples of American modernist literature. 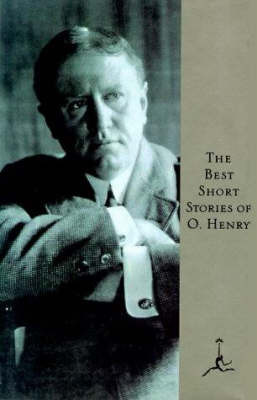 The book, The Best Short Stories of O’Henry, showcased 38 short stories by O’Henry. Every story there appeared didactic and good-humored, and the household morals came from often witty culminations. Classic settings from New York to Texas provided a mural of America. Themes such as love and greed pervaded the potpourri of American characters, yet each short story resulted in a fresh ramification based on the demographic nuance and interaction. American modernism represented an era of prosperity and expansion. Industrialism would follow the two world wars and the American Great Depression. Success rested on the American ingenuity. Turn of century technology empowered Americans through the early 1900’s, and the stories of influential Americans captivated millions. Henry Ford and the automobile assembly line, Durant and General Motors, and captains of industry like the Rockafellers and the Vanderbilts created jobs. Imaginations ran wild with stories of successful exploits. Short stories like O’Henry’s capitalized on the vast American geography and social stratums. A New York banker could read of a fictional Texan thief and vice versa. Literary devices such as imagery, colloquialisms, and didacticism made O’Henry’s storylines vivid portraits of modernist Americana. Imagery appears in abundance for immersion into O’Henry’s short stories. Americana becomes mirthful through the descriptive language. Descriptions of households, landscapes, and character attire illustrate the significance of social perceptions. Protagonists and antagonists have representative associations with different wardrobe styles for example in the “Trimmed Lamp”. Aristocrats, bourgeois, and proletariats differ in their surroundings as illustrated in “The Duplicity of Hargraves”. Rural and urban settings likewise shape the expectations for the storylines and characters’ behaviors. A rural protagonist has an expected behavior unalike the behavior of an urban protagonist or an antagonist. Expectations of the plot based on the imagery establish the premise for foreshadowing and irony: “Looks can be misleading”. O’Henry’s imagery in “A Blackjack Bargainer” describes the story of a mountaineer vs a city slicker, yet the result is much different from a similar setting in “Squaring the Circle”. Assumptions of symbolism and associativity of the initial imagery can produce unexpected surprises in O’Henry’s works. The importance of the imagery then happens as the imagination encapsulates the escapades of O’Henry’s characters with plausibility. Realistic imagery with fictional plots expands upon reality instead of replaces it, and this strategy consumes the imagination with possibility and chance instead of fantasy. Colloquialisms become pervasive throughout O’Henry’s works. Dialects and phrases appear for literary immersion into the lifestyles and culture of the characters. Settings in New York, Texas, and California each have unique imagery and the presence of colloquialisms. Local drawls, inflections, accents, and cadences correlate the characters with their settings. The colloquialisms not only help in identification of the local characters but also differentiation of these characters with visitors from other locales. Texan or in general southern colloquialisms contain contractions and references to heat, sweat, and shade. Northern dialogues emphasize transportation: cars, taxis, buses, and trains. Differences in the colloquialisms along with the differences in the imagery conjure scenes of indigenous peoples and their far off and exotic places. O’Henry’s popularity thrives on this combination. Modernist Americans show little evidence of interstate exchange due to their transportation obstacles. Limited transportation in those days has meant that literature and oral history would account for the cultural exchanges now prevalent in America. Literature such as O’Henry’s stories proliferate cultural diasporas. Common knowledge of linguistic variations flourishes as cultural exchange has increased. 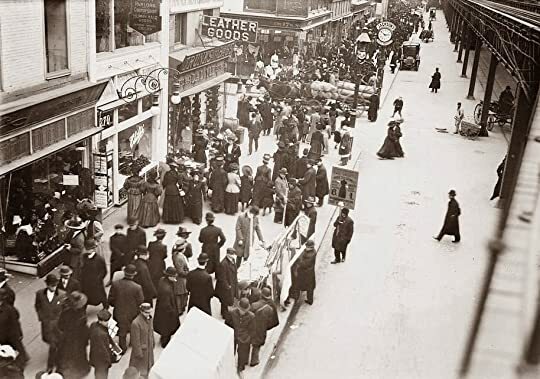 Modern American cities support droves of citizens, visitors, and merchants, and modern mass communication systems enable an unprecedented amount of cultural exchange. O’Henry’s stories become didactic a century after their original publications. The cultural insights from Modernist America encapsulate the Modernist period’s social structure and economy. Goods and services of that era are antiquated today yet underlie much of modern interaction. “Trimmed Lamp” showcases the superficial social stigmatisms for and against wealth’s influence on marriage. Wealth and affluence always encourage trust during mate selection in sociological theory. “Duplicity of Hargraves” illustrates the significance of compassion even without recognition. Random acts of kindness inspire altruism and benevolent social stories like the contemporary collection “Chicken Soup for the Soul”. “A Blackjack Bargainer” tells of the ominous ends that spiteful family feuds can breed. “Squaring the Circle” ramifies a possibility for peace amongst feudists. Feuds may have been the origin of war, and the conception of peaceful resolutions offers diplomacy a chance. Family is the basic building block of society and appears as a central theme. Communication between lovers appears emphasized in “The Gift of the Magi”. Didacticism in each story transcends the transitions from Modernism to Contemporary literature. Lessons in love, war, and peace from the last century still hold true though the jobs and day to day lives of today’s characters have evolved. The Best Short Stories of O’Henry shall become a literary time capsule from the Modernist era. Cultural examples from these stories will provide imagery for future historical reference. A description of interactions amongst Modernist people should include non-fictional literature, photos, and oral history as well as O’Henry’s livid works. Non-fiction documentation alone would not contain as much dialogue representative of the proletarian and indigenous people since the bourgeois gentry and aristocrats had been predominant authors. Upper class members of society could continue increased communication with lower classes for a productive synergy, so interclass correspondences shall convey dialogues that all can understand. Contemporary movies that are set in the Modernist period should draw inspiration from O’Henry’s works because each story illustrates the conceivable entertainment from Modernist characters. O’Henry’s stories may represent an encyclopedia of that era’s characters: shop workers, miners, hunters, lawyers, thieves, actors, and politicians. Settings for these diverse varieties of characters can come across as redundant, yet O’Henry’s imagery would help shed light on the nuances between Tennessee backwoods and Texan ranches. Morals in O’Henry’s stories shall always pervade pop culture as they already do. Love and bravery in exotic places and ironical plot twists will keep O’Henry timeless. The collection of O. Henry's best short stories starts off with his most famous one , "The Gift of the Magi", which I have loved for many years. I really did not know what to expect from the rest of the collection, but for the most part they were similarly entertaining. I guess I really like more character and plot development than can be done in a short story so I often felt they were abruptly ended, but then I suppose that is the nature of the genre. Set in the late 18th and early 19th century, The collection of O. Henry's best short stories starts off with his most famous one , "The Gift of the Magi", which I have loved for many years. I really did not know what to expect from the rest of the collection, but for the most part they were similarly entertaining. I guess I really like more character and plot development than can be done in a short story so I often felt they were abruptly ended, but then I suppose that is the nature of the genre. O. Henry wasn't what I was expecting. Since the prestigious prize is named for him, I expected him to be the pinnacle of the genre of short stories. I know he's been a bit neglected by modern lit critics as light reading, but I wasn't prepared for how magazine-y these stories are. Not that they lack literary merit I guess... just that there are so many cheap, trick endings you begin to feel once you've read one, you've read them all. Also I don't think they've aged well... O. Henry loves to do d O. Henry wasn't what I was expecting. Since the prestigious prize is named for him, I expected him to be the pinnacle of the genre of short stories. I know he's been a bit neglected by modern lit critics as light reading, but I wasn't prepared for how magazine-y these stories are. Not that they lack literary merit I guess... just that there are so many cheap, trick endings you begin to feel once you've read one, you've read them all. Also I don't think they've aged well... O. Henry loves to do dialects and loves pop-cultural in jokes, but both of these are dated and feel a bit cartoonish. I had only previously The Gift of the Magi which I dearly love. From the High School library I checked out this book. It is 1600+ pages, and it took me a while to read it, but it was well worth the time. In our world it is hard to find books that are clean. This was one of those books. Many of the short stories are merely entertaining while others teach significant morals. If a person would buy this book, he/she could use it to teach his family principles of good living. I have long been familiar with "The Gift of the Magi" and "The Last Leaf" so I was excited to find more O'Henry gems in this book. Some of the stories were clever, and some were boring, a few were wise, but overall I was disappointed with this book. Usually when I like an author I wish they had written more, but I guess there is such a thing as being too prolific. Tried my best to read this for book club but had a hard time and didn't finish it. O. Henry was a trailblazer in his day, and is considered the grandfather of the short story and the twist ending. Today, I think audiences are much more sophisticated and it's not hard to foresee the twist in most of his stories. I gave this an extra star because it was given to me at the O Henry Hotel I stayed out and I thought that was pretty cool. The hotel also had the BEST bed I have ever slept in and the absolute BEST pillows ever. My favorite airplane companion...not the book you bring to LOOK like you're reading something intelligent...but nice, compact stories with twists to leave you feeling satisfied, even if you're interrupted by the captain's comments a little too often. Had no idea about this author - took it from my mom's book shelf. The stories are short and really witty - who knew that he wrote the Gift of the Magi?!! And who knew it was only 5 pages long!! I read this stories over and over. Even though you know the ending, it's still cool the way they twist! O. Henry's short stories are amazing. My favorites: The Last Leaf, The Gift of the Magi and The Cop and the Anthem. Great reading.